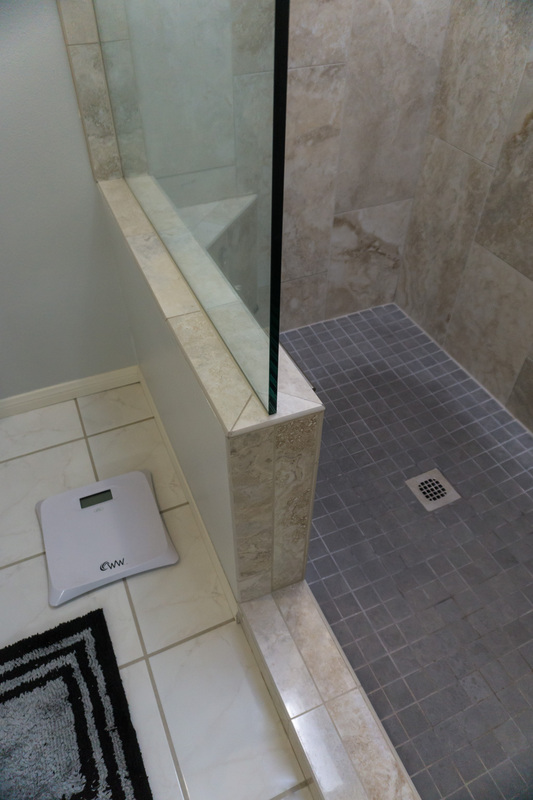 Replaced a typical builder grade shower which had a sliding glass door with a new walk in shower with no door. 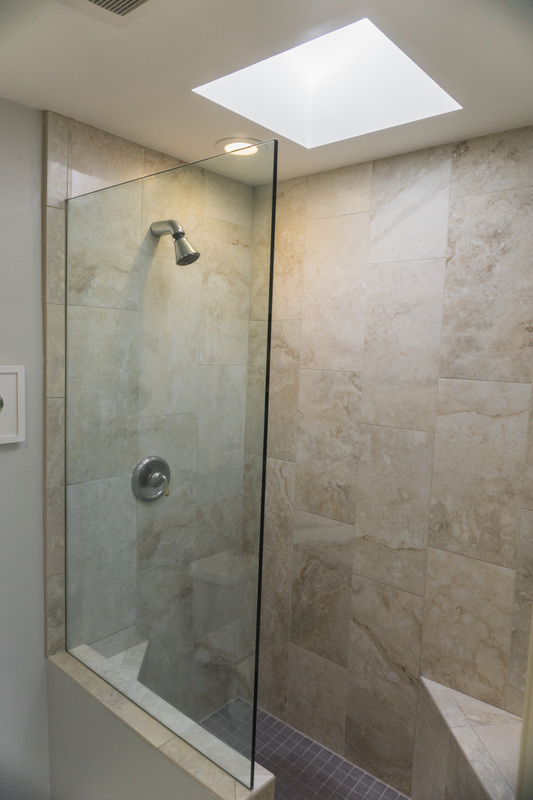 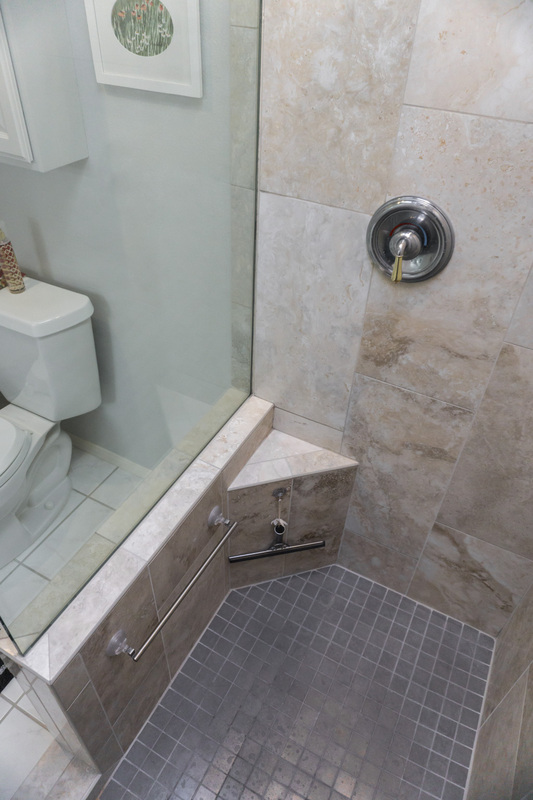 This project was simply to replace the builder-grade showers in two baths with new updated walk-in showers with no doors. 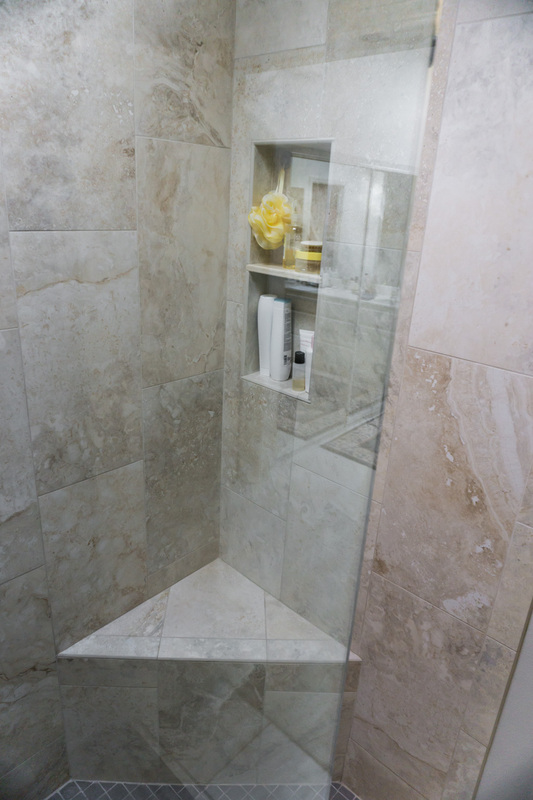 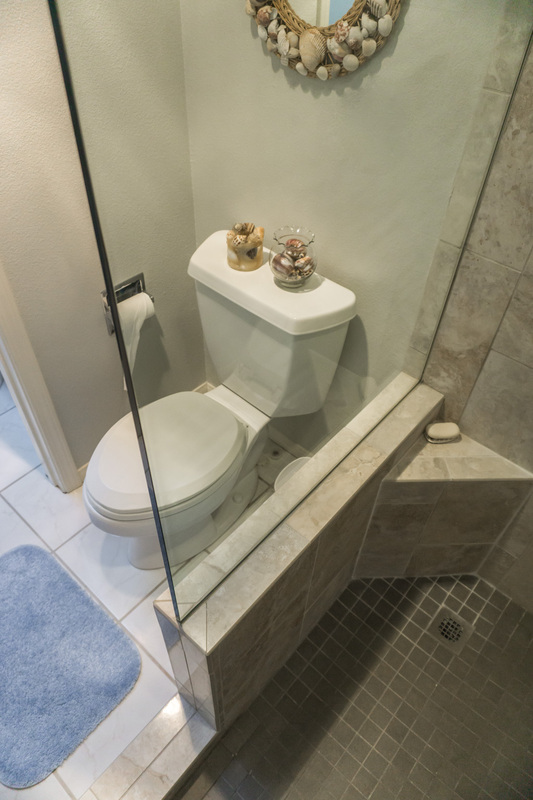 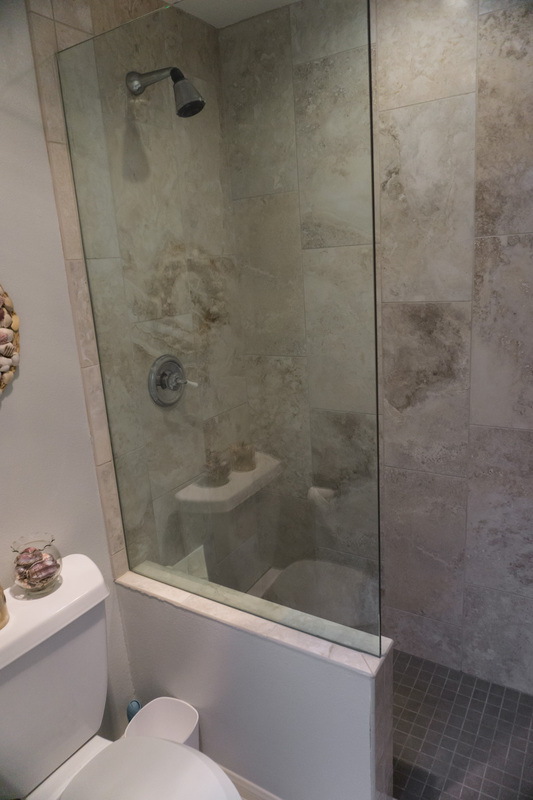 Like most homeowners, this client had a love/hate relationship with their shower doors: they leaked easily and were hard to keep clean, but they did (for the most part) keep water in the shower. 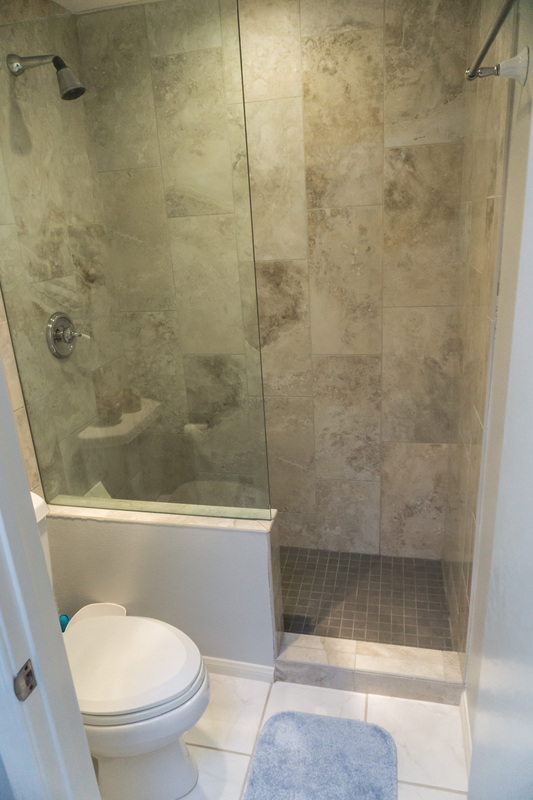 They were also tired of the basic white builder-grade tile that simply went part way up the wall instead of to the ceiling. 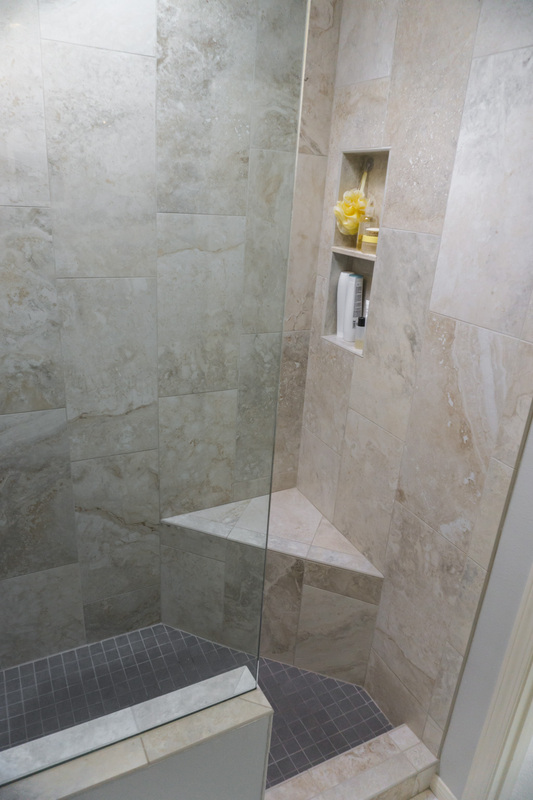 Like most of the showers you will see in our gallery, we redid these in a way in which no doors were used. 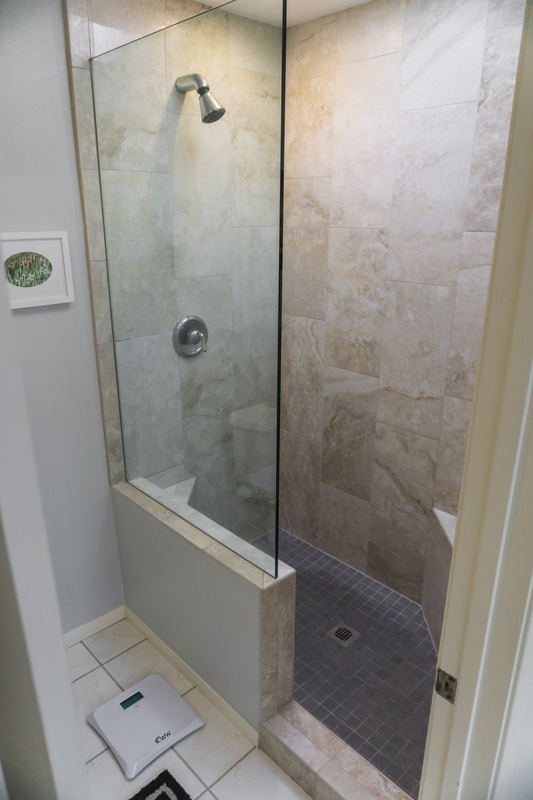 We instead built a short wall to give better waterproofing and placed a large fixed glass panel on top of that wall to keep the water in the shower. 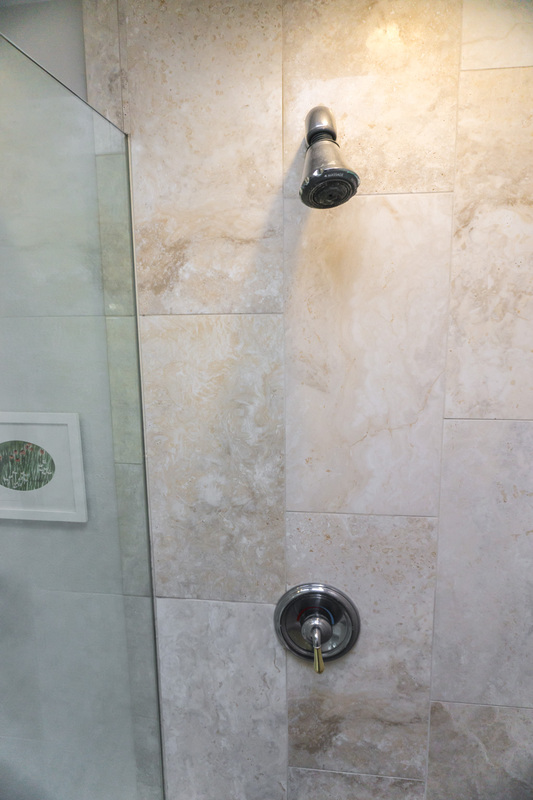 The glass panel has tracks hidden in the tile for a clean look, and with no exposed metal, it’s almost effortless to squeegee the glass panel and keep it clean. 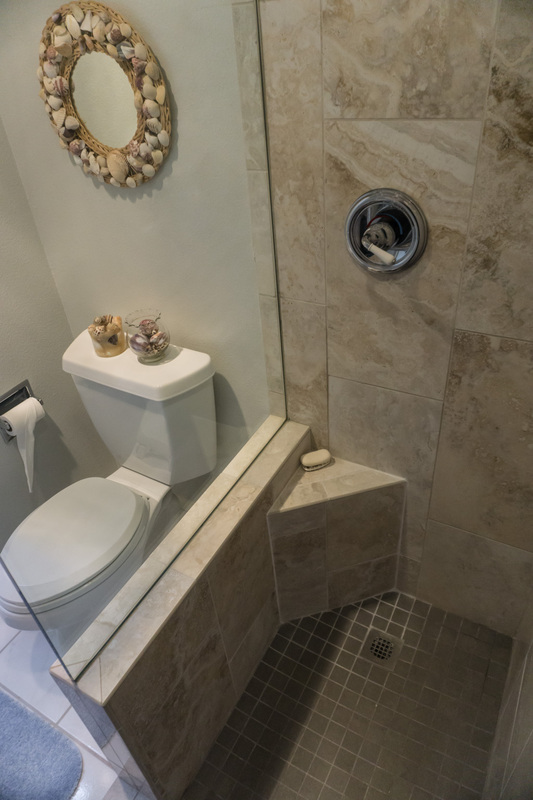 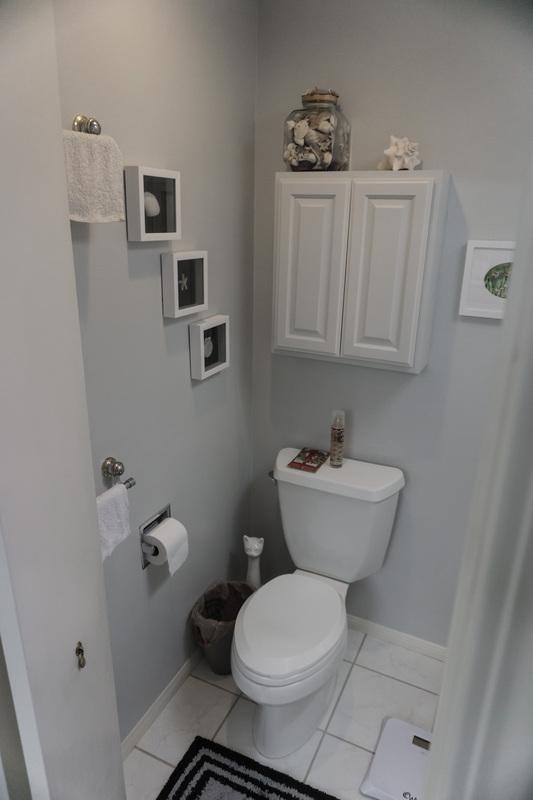 Each bath has a built-in step which we use in most of our projects, so the client can rest their feet on the step when washing their feet or shaving legs — no more bending over or balancing acts for those activities! 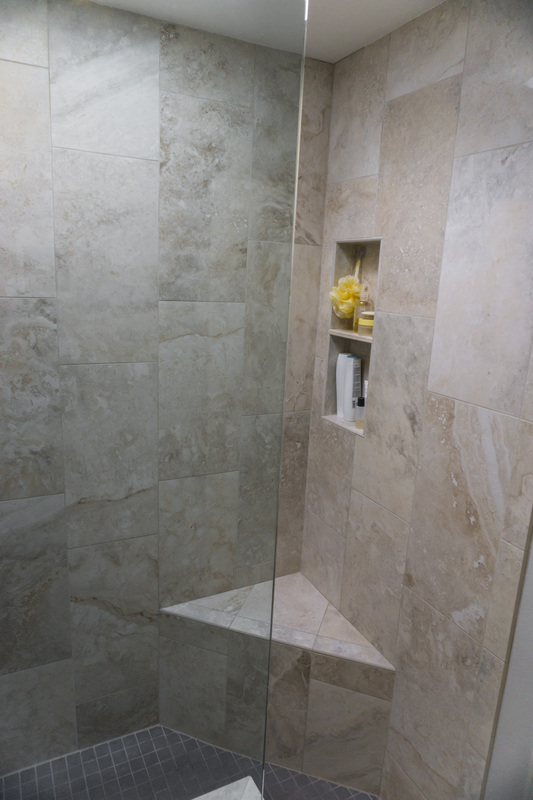 The client chose a 12” x 24” polished porcelain tile from and chose to have us place the staggered pattern in a vertical direction. 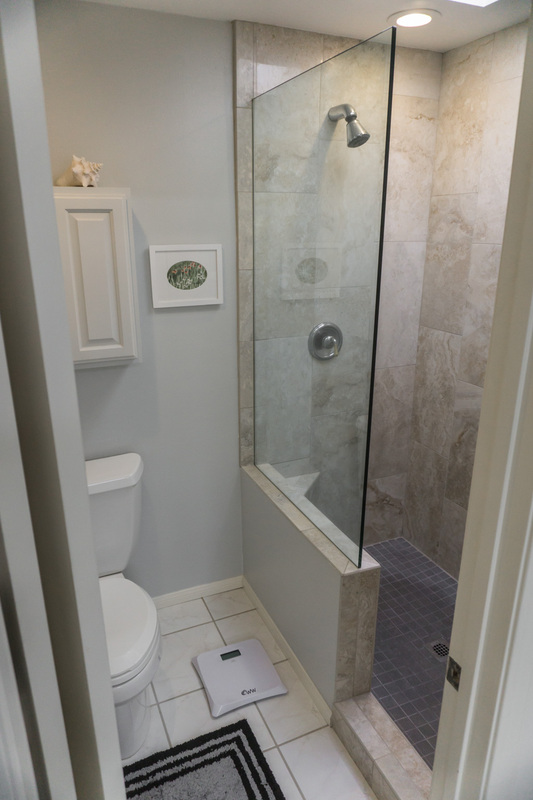 With the exception of the shower, lights, and ventilators, all of the original bath elements were preserved and reused to create these clean, simple, and vastly improved baths within an efficient budget.